Elusive study organisms for ornithologists and highly prized additions to the birder's life-list, the antpittas (Grallariidae) and gnateaters (Conopophagidae) are among the most poorly known Neotropical bird groups. This authoritative handbook is the first book dedicated solely to these two families, combining an exhaustive review of more than two centuries of literature with original observations by the author and many knowledgeable contributors. 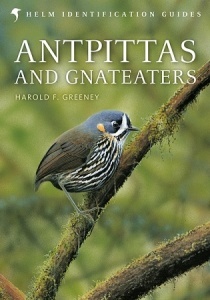 Antpittas and Gnateaters provides a thorough guide to the identification and ecology of these birds, with detailed maps accompanying the text. A series of superb plates illustrate most of the 156 recognized taxa; supplemented by more than 250 colour photographs, the immature plumages and natural history of many species are depicted for the first time.